This page is under construction. We are currently updating our products. 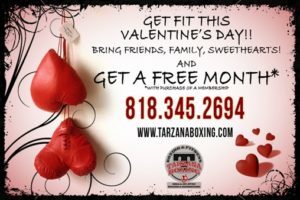 I have been going to Tarzana Boxing for about 3 months and LOVE IT! It is so much fun and I never leave without being drenched in sweat. This has been the only workout I have been able to stick to faithfully for some time now. I feel my body changing and have more energy throughout the day.The instructors are AWESOME and so are the owners. They are a super nice couple that are always helpful. I recommend taking Thor’s kickboxing class if you want a real workout! They are open 7 days a week and have classes that fit any schedule. Wonderful teachers! Fantastic staff! The owners rock! Great workout! Love this place! ? Being involved in boxing for over 30 years, I can soundly say, Tarzana Boxing is by far the best workout facility in the Valley. Not only do they have the best group of trainers and instructors I’ve ever seen in one place. But you also get a great family atmosphere that every member enjoys being a part of. I highly recommend Tarzana Boxing to anyone willing to learn. You will have a great time while getting in shape.